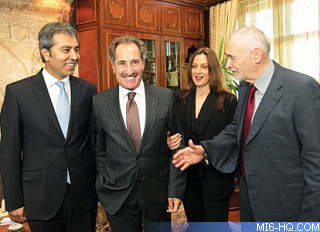 Producers Michael G. Wilson and Barbara Broccoli met with officials yesterday in Istanbul, Turkey, to finalise plans to shoot part of the 23rd James Bond film in the city. They met with Ertugrul Günay, Turkish Culture and Tourism Minister, in his office on Tuesday to firm up production plans ahead of principal photography kicking off in November. "The opening scenes are planned to be filmed in Istanbul, but some other places will also be used outside Istanbul for the film," Günay confirmed. "Such is the appeal of the series that many of the locations where Bond films have been filmed in the past have continued to attract Bond fans to visit many years down the line. The fact that the opening scene of the film will be made in Turkey will contribute to Turkish tourism. The ministry has been providing big support to the film sector for five years. We have made a concerted effort in the past five years to support the film sector and our aim continues to be to welcome international film crews to our country for filming," Günay said. James Bond is no stranger to Istanbul, and as the series marks its 50th anniversary next year, it is fitting that 007 would return to one of the most loved locations in the history of the franchise. Wilson told local reporters, "it really just feels like we are coming home." Locations are set to include the city's historical neighborhood Sultanahmet Square, which EON Productions had secured filming permissions earlier this month. "There are, however, a number of locations, including the waterside and shores of the Bosporus, in consideration for the 10-15 minutes of the movie that is to be filmed in Turkey," Günay revealed. A small pre-production crew is currently in Istanbul finalising logistics. Casting the role of a villain's girlfriend has begun with a search of Turkish actresses. 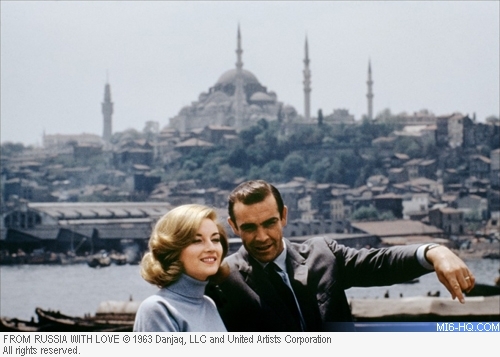 Two James Bond films have featured Istanbul: most notably "From Russia With Love", and to a lesser extent "The World Is Not Enough". Back in 1963, Sean Connery's second outing as 007 based the majority of their location shooting in the city and the surrounding areas. Ian Fleming also joined the production on location while they were shooting at the Hagia Sophia Mosque and at Sirkeci Train Station that stood in for all three of the train stations on the Orient Express line. While Fleming was reportedly delighted by the progress and the atmosphere on set, Istanbul proved a tough shoot. 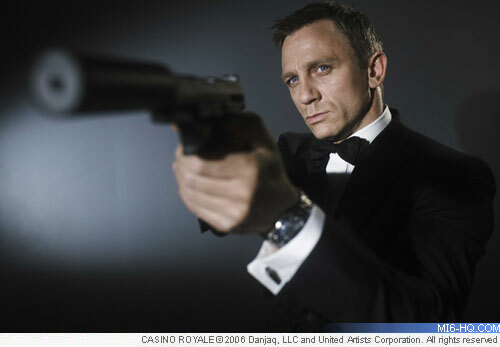 The major location for Bond 23 is understood to be South Africa, after plans to shoot in India were scrapped. Daniel Craig begins preperations for the film next week with filming at Pinewood Studios scheduled to start in November 2011. The film's UK release is set for just less than a year later on 26th October 2012.